Rush Fest brings together a variety of ages to Colorado Springs each year. 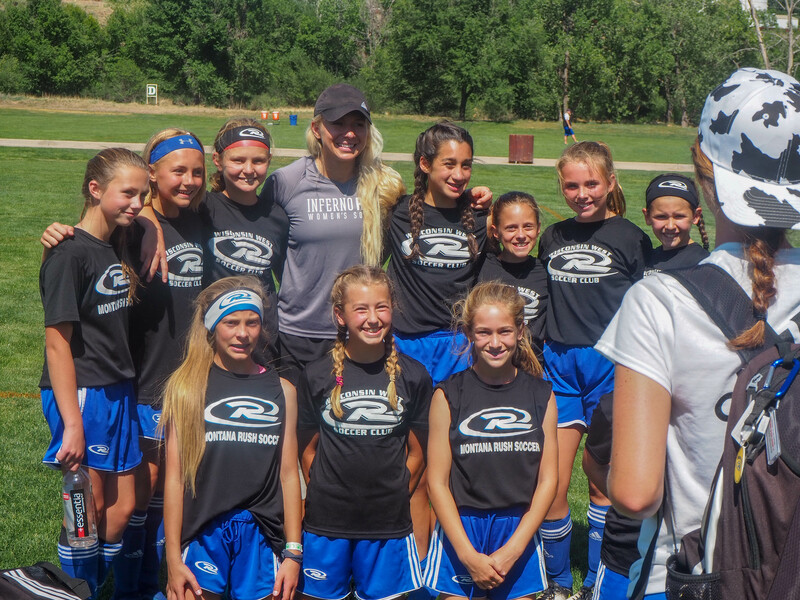 This year, the vast majority of people were born in 2006, and were decked out in Rush blue and white, along with cleats, shin guards, and sunscreen (to combat the Colorado sun). They came to Fest with beaming smiles and loud cheers as they took to the fields each day, and continued to grow in the game in matches and training sessions throughout the week. Rush Fest will be one of the highlights many players will share for the following weeks when asked what they love about the Rush. The team unity, fun, and enjoyment in the game during this event is unmatched by any other youth club in the country. The parents cheering on the sidelines experience the uniqueness of the event too. Their faces tell the stories of many proud parents who enjoy watching their kids love the game and their team. Then there are the coaches and Rush staff members present to help facilitate a fun environment by selling fan gear, supporting teams from all over the country, and working hard to keep the event running smoothly. 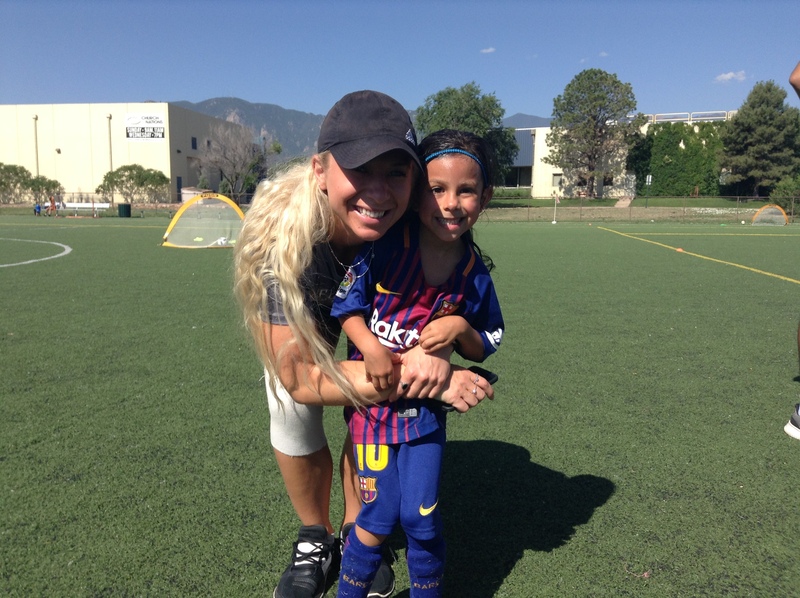 For the second year in a row, the Developmental Camp and TOPSoccer Thunder Program were on site to give more players in the area the opportunity to be involved at this fun event. This year, another member of the Rush family was on site to support and encourage players throughout the week. 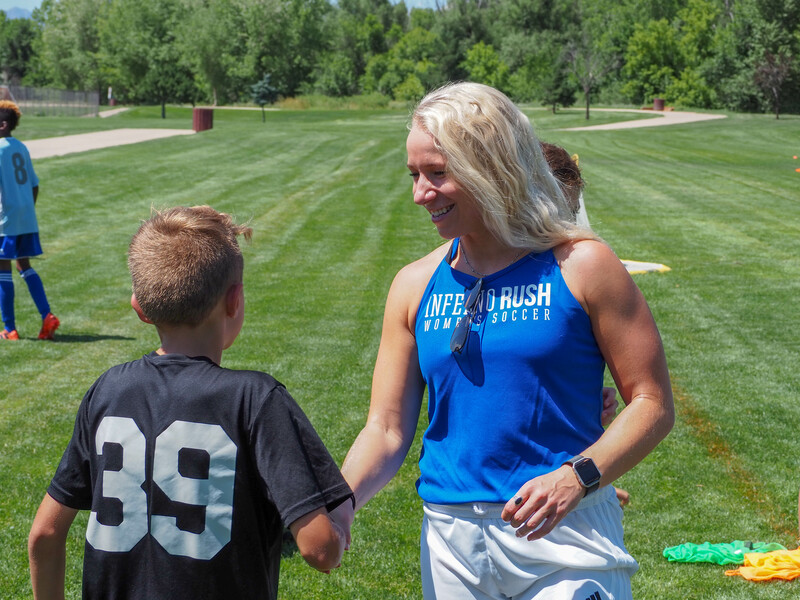 Her name is Trisha Clark, a team captain for Rush Soccer’s pro-am women’s team, Inferno Rush, that competes in the United Women’s Soccer league (UWS). Even her presence impacted players throughout the week. Her impact was evident in the players she spoke to and her passion. She simply wanted to be there to encourage players to chase their dreams, and to continue to love the game. She was one person, but her impact on the players mattered greatly. Clark cared to come to the event because she remembers being a youth player. She remembers having dreams then and is gratefully continuing to live some of those out. She could relate to the youth, but also inspire them. Clark was raised in Dillsburg, PA, playing first for her town’s local team, the Dillsburg Firecrackers. Clark began to play for more competitive teams and clubs as she grew older, joining the FC Pennsylvania Strikers in high school, where she began to truly develop as a player. After building an impressive youth resume, Clark decided upon Elizabethtown College, where she became a four-year starter and integral part of the team’s leadership. “I was honored to be chosen as captain of my college team for my sophomore, junior, and senior seasons,” Clark continued. “Taking on this leadership position as an underclassman helped me to find my voice and figure out how to be a leader, admittedly, through trial and error. I was able to grow in this position throughout my time in college, and this helped me develop not only as a player but more importantly as a person. During summers between college seasons, Clark saw the chance to play at an elite level while keeping fit for her upcoming season. As she enters her fifth season with the team, she leaves a trail of accolades that show the level of talent she brings to the UWS. She received UWS All-East Conference Honorable Mention in 2016, along with 2017 East Conference Second Team and earned “Iron Women of the Year” honor for most minutes played (10 games / 900 minutes played). In 2015, the UWS was formed with the Inferno as a founding member. Another chapter now unfolds for the Inferno in 2018, being named the official women’s pro-am branch of Rush Soccer. As a part of the East Coast’s Power 5 conference, Clark and the Inferno continue to gain ground not only in the league, but the Lancaster area. “I’ve officially landed back in Harrisburg, PA, but already miss Colorado! Thank you so much for hosting me this week for Rush Fest! It is truly unlike anything I have seen before. It is such a unique way to cultivate love of the game and promote the Rush culture. I feel so lucky to have been included and contribute in even a small way to giving back to the game. I truly cherish the time I get to spend with the kids.. I hope we can continue to promote women's soccer for these girls and give women the recognition they deserve. For Inferno Rush’s schedule click here. To see more of the Inferno’s roster, click here.